Emergency Dentists USA does all of the work for you when it comes to choosing a new Grand Rapids emergency dentist. Our comprehensive listing of dental offices is carefully chosen to make it simple to set up an office visit and get your dental emergency cared for quickly. From routine dental care to complete mouth restorations, the Grand Rapids emergency dental clinics on Emergency Dentists USA are competent, kind and caring while they relieve your dental pain. 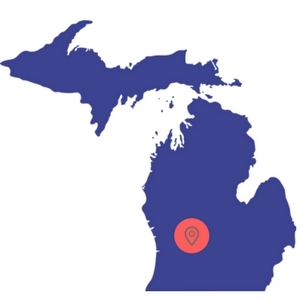 Our convenient listing of dental offices includes after hours dental appointments that suit your schedule along with emergency dental care that gets you back on the road to a fun Michigan vacation quickly. Use our 24-hour dental emergency hotline to speak with a live operator who is standing by to help you choose a great Grand Rapids emergency dentist and can even set up your first appointment. Choosing a new dental office and getting that emergency dental care is a breeze on Emergency Dentists USA. The search for a 24-hour emergency dentist in Grand Rapids does not have to be a hassle. Scrolling through the listing of Grand Rapids emergency dentists on the Emergency Dentists USA website makes your choice easy. – Walk-in dental clinics – Dental clinics that allow patients to come in without an appointment are not available in Grand Rapids. Each hospital offers an emergency department that is equipped to handle your emergency without the need for an appointment. – Emergency 24-Hour Dental Clinics – A dental clinic that specializes in being open 24-hours a day is difficult to find. All of the Grand Rapids hospitals listed below offer treatment for dental emergencies regardless of the time of day or night. – After Hours Dentists – Open before or after normal business hours, after hours dental clinics are a wonderful choice when you need care for your dental emergency. Choose Northway Family Dentistry and take advantage of their evening office hours for a convenient dental appointment. Located below, you will find a carefully chosen listing of Grand Rapids emergency dentists who are ready to handle your dental emergency. The simple process of scrolling through this listing allows you to choose the Grand Rapids emergency dentist with office hours or a location that are advantageous to you. Use our 24-hour dental emergency hotline to speak with a friendly operator who can schedule your first dental appointment or help you to select the right dentist for your emergency. DescriptionKnown as the “furniture city”, this is still a place that becomes miserable if your teeth are aching or your gums infected. Call our easy to use hotline now and see how quickly we can get you to the professional that will know how to fix you up. Dr. Northway and Dr. Smith at Northway Family Dentistry understand what it is like to be suffering from a terrible toothache. This dental office has a unique 24-hour answering service designed to get you into Northway Family Dentistry as quickly as possible to care for your dental emergency. Appointments are reserved each day for emergency dental patients, and even routine dental care is provided at this premier Grand Rapids dental clinic. Choose Advance Dental Smile for your Grand Rapids dental emergency, and Dr. Richard Neuman and Dr. Alexis Neuman are at your side to get you out of dental pain and back on the road to recovery. With a passion for helping those in need, Advance Dental Smile employees a caring staff to attend to your dental emergency. Offering cosmetic dentistry, routine dental examinations and x-rays, dental veneers and implants and even teeth whitening, this dental clinic uses state-of-the-art technology to care for your smile. Located on Kalamazoo Avenue, Dental Associates of West Michigan has two well-trained dentists on staff to care for your dental emergency. Dr. Conlon and Dr. Vincelj are standing by to treat your painful abscess, cracked tooth or lost filling quickly. Dental Associates of West Michigan has a policy of same-day treatment for dental emergencies and opens early in the morning to get you out of pain and on the road to recovery quickly. From cosmetic dentistry to a root canal, this dental clinic is prepared to care for your teeth now. With four excellent dentists in one office, Great Lakes Dental Care makes it easy to get out of pain quickly, even when you have a dental emergency. The office makes every effort to see you as soon as possible, with Dr. Lingenfelter, Dr. Webb, Dr. Kragt and Dr Zwaan standing by for routine dental care or to fix that lost filling or crown. Digital x-rays and services from sealants to teeth whitening make this dental office an excellent choice for your Grand Rapids dental emergency. – Similar to a visit to your regular dental office, visiting a Grand Rapids emergency dental clinic requires a little preparation. Most dental offices offer both routine services and more complicated emergency procedures that are important when you have severe dental pain. – Have your paperwork, health records, and insurance information ready. Sharing this information with your new Grand Rapids emergency dentist will help him or her to select a treatment plan that is personalized for you alone. – Go to the new dental clinic at least 15 minutes before your appointment in order to ensure that you have plenty of time to fill out paperwork. Use this additional time to ask questions about your procedure. – Make sure you know how you’re going to pay and if the dentist accepts your form of payment, cash, credit, or insurance. Most Grand Rapids emergency dentists also offer a low-interest payment plan for more complicated services. – Make sure you know if your insurance is accepted at this dentist. Choosing a dentist who is in your dental insurance network will save you money when the time comes to pay the dental bill. – Make sure to let your dentist know if you have any allergies to medicines. Bring a current list of your medications with you to visit your new Grand Rapids emergency dentist. – Do you have intense dental anxiety or fear? Let the office staff know that you are frightened about your upcoming procedure. They are trained to help you feel more comfortable during your visit. Grand Rapids is a great place to be when you are affected by a painful toothache or other common 24-hour dental emergency. With a large selection of well-trained Grand Rapids emergency dentists on Emergency Dentists USA, you will not have any problem selecting a great dentist for your visit to this grand city. Some of the most common of all 24-hour dental emergencies include tooth trauma that is caused by an accident, a chipped or broken tooth or a tooth that has been partially or completely knocked out. You might also have a lost filling or a loose or lost crown that causes you to seek a Grand Rapids emergency dentist regardless of the hour. 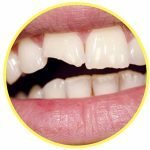 Other common dental emergencies include soft tissue damage to the lips, gums or tongue along with broken braces or brackets and broken wires on those braces. 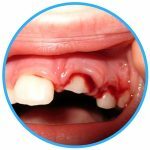 An abscess is also a common dental emergency that might cause you to search frantically for a dentist even early in the morning. Reading advice on the EmergencyDentistsUSA.com website is not a substitute for seeing a medical professional. Each dental emergency situation is unique, and it is important to see a dentist for any of the common dental emergencies listed below. Broken or loose braces and wires are a common dental emergency that often cause a person to seek a dentist quickly. 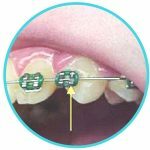 If the wire breaks on your braces, it is important not to cut the wire. Use the eraser end of a pencil to push the wire into a more comfortable position and cover the sharp end of the wire with a piece of orthodontic wax or a cotton ball. Use orthodontic wax to temporarily attach brackets or braces to the teeth and visit your Grand Rapids emergency dentist as soon as possible. A chipped or broken tooth is not only painful but embarrassing while you are on vacation. If you are able to find the broken portion of the tooth, bring that with you to visit your Grand Rapids emergency dentist as soon as possible. Use a cold compress to lessen the swelling and pain on the outside of your mouth and cheeks. Place a moistened piece of gauze against any area that is bleeding and apply gentle pressure for at least 10 minutes to stop the flow of blood. Rinse your mouth with water, and rinse any broken portions of tooth as well. A knocked out tooth might be caused by a fall or a sports injury. In these cases it is important to visit a hospital ER for quick treatment of any other injuries you might have sustained. If you can find the tooth, rinse it carefully with plain water. Hold the tooth only by the crown and place it in a container of milk or Save-a-Tooth. Rinse your mouth with water and use a cold compress to lessen swelling or pain outside of the mouth. Visit your Grand Rapids emergency dentist as soon as possible to replace the tooth. An emergency tooth extraction is something that no one really wants to think about, especially when they are on vacation. You might need an emergency tooth extraction if your tooth has decayed beyond the point where a dentist is able to fix the tooth. It is important to have the extraction accomplished as soon as possible to minimize complications and healing time. Your dentist generally begins the procedure with an x-ray and examination of the tooth. He or she then choose a local or general anesthetic to ensure that you are comfortable during the extraction. A special tool is used to remove the tooth from the gum, and the gum is then stitched closed with sutures that dissolve over time. A small piece of gauze is placed over the gum to minimize any bleeding. Full healing usually occurs within one to two weeks. Following your emergency tooth extraction, you should take any medications as prescribed. Avoid drinking from a straw or eating hard foods for at least a few days. Avoid smoking and drinking alcohol until the gum is healed completely. When a dental emergency occurs, your first thought might be to head straight to the hospital emergency room. This is definitely a good idea if your dental problem begins with a fall, an accident or a sports injury. The hospital physician can ensure that you have no injuries that are life-threatening before referring you to a dentist for a tooth repair. Visit your Grand Rapids emergency dentist for any of the common dental emergencies like a toothache, a broken tooth or a lost filling or crown. Your dentist is trained to handle these emergencies and has all of the equipment necessary to care for your dental emergency. In most cases, a visit to the emergency dentist is less expensive and takes less time than a visit to the hospital ER. The excellent Grand Rapids area hospitals are always open to treat a dental emergency that begins with a fall, an accident or a sports injury. It is important to visit a hospital emergency physician if you have a dental emergency that could include any other types of injuries. Use the American Dental Association’s website located here: www.ada.org to check current licensing and credentialing information on any new dentist that you choose to visit. This website provides information on dental services along with current licensing information. You can also check out the great dental information on the Michigan Dental Association’s website located here: www.MichiganDental.org. This website offers dental health tips, news and current information on dental care in the state of Michigan.